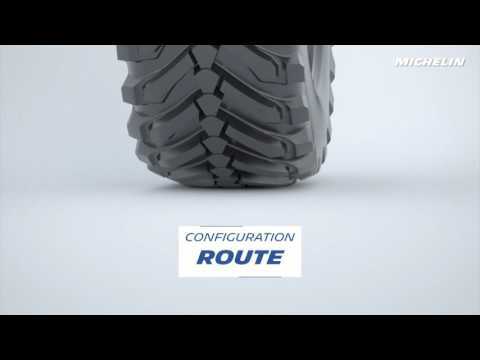 The revolutionary new MICHELIN Evobib tyre, designed specifically for tractors with Central Tyre Inflation Systems (CTIS), features an innovative 2-in-1 tyre technology that transforms for optimum performance. The adaptive tyre pattern allows greater stability, improved fuel savings and reduced wear when inflated for road use but offers a wider and longer ground contact at lower pressures to minimise soil compaction and improve traction when in the field. (1) Within the limits stipulated in the laws in force in the country. (2) Comparative internal study Michelin Ladoux (Dec 2014 and Nov 2015) between MICHELIN EVOBIB VF 710/70R42 and MICHELIN AXIOBIB IF 710/70R42 at a pressure of 0.8b (12psi).